The most highly sought after technology in the next 12 – 24 months could be VLS accelerated hydroponics. That is the know-how to produce large amounts of food in confined (or semi-confined) environments within a short time cycle and without the need for soil. Haiti’s second city, Gonaives, was deluged by Hurricane Hanna. Image: Matthew Marek/American Red Cross. Source:BBC. Image may be subject to copyright. Haiti – Two hurricanes, Gustav and Hanna, struck the Caribbean’s poorest nation in little over 4 days, just two weeks after tropical storm Fay had already drenched the country. the hurricanes left at least 200 people dead. The death toll could still climb substantially as thousands of people who escaped to rooftops to avoid rising floodwaters continue to starve. See: Hungry Haitian Flood Victims Stranded on Rooftops. 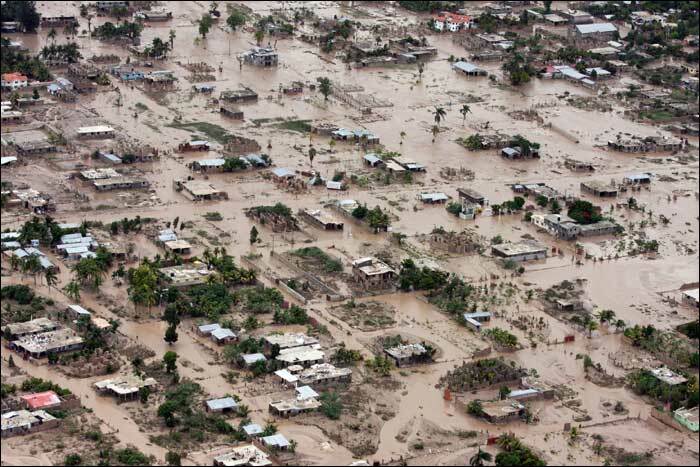 In 2004, after Hurricane Jeanne struck the city of Gonaïves causing widespread floods and mudslides, more than than 3000 people died. People seek refuge from flood waters in east Nepal August 24, 2008. Twenty-four bodies have been discovered washed away by Koshi River at the Nepal-India border according to local media. More than 20,000 thousand people have been displaced due to a flooding after a dam burst. REUTERS/Nepal Army 11 Brigade/Handout (NEPAL). FOR EDITORIAL USE ONLY. NOT FOR SALE FOR MARKETING OR ADVERTISING CAMPAIGNS. Nepal – An appeal for assistance for Koshi flood affected people in eastern Nepal has been made by: WFP, FAO, UNICEF, WHO, OCHA, and OXFAM for a total of US$10,102,485. India – The flooding in the Bihar state of India has affected an estimated three million people. Without clean water, food, medicines and shelter many of them will perish. A flood-affected man takes a nap outside a flood relief camp in Jankinagar village of Purniya district in the eastern Indian state of Bihar, September 3, 2008. REUTERS/Rupak De Chowdhuri. Image may be subject to copyright. Cuba – Hurricane Gustav destroyed or damaged about 100,000 homes in Cuba. Pinar del Río province was the hardest hit with its share of 70,000, and a total of about 500 damaged schools. In the municipality of Isla de la Juventud about half of the houses were damaged. In the municipality of Los Palacios 80 percent of the 13,000 homes were damaged, some 6,000 were completely destroyed. 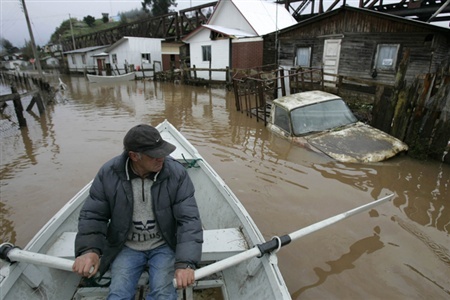 A man rows a boat in a flooded street of Puerto Saavedra town in southern Chile September 3, 2008. Hundreds of people were forced to leave their homes during the storms that hit parts of Chile, according to local media. REUTERS/Victor Ruiz Caballero. Image may be subject to copyright. Chile – About 100,000 people have been affected by torrential rains in Chile, the worst in living memory; four people drowned. In Araucania region, 700 km south of Santiago, rain has damaged about 10,000 homes, flooded rivers and canals, blocked roadways, destroyed bridges and inundated more than 200,000 hectares of farmland. President Michelle Bachelet designated the region as a “catastrophe zone” on Wednesday. Two hurricanes, Gustav and Hanna, struck the Caribbean’s poorest nation in little over 4 days, about two weeks after tropical storm Fay had already drenched the country. No Food, No Freshwater, No Shelter! How much CO2 was there before? Measurements of CO2 levels in Ice cores collected in Antarctica and Greenland indicate that the preindustrial carbon dioxide level was 278 ppm. Between 1000 and 1800 A.D. that level varied by no more than 7 ppm. The CO2 levels have now reached 386 ppm, which means human activities have increased the concentration of atmospheric CO2 by 109 ppm or 39 percent. Sources: CASF/MSRB; CDIAC; Netherlands Environmental Assessment Agency; Earth Systems Research Laboratory; Mauna Loa CO2 monthly mean data. 2. The mean molar mass of air: 28.9625 g/mol. 3. Molar mass of CO2: 44.0095 g/mol. Does it really make any sense looking for ice on Mars as life becomes extinct down here on Earth? 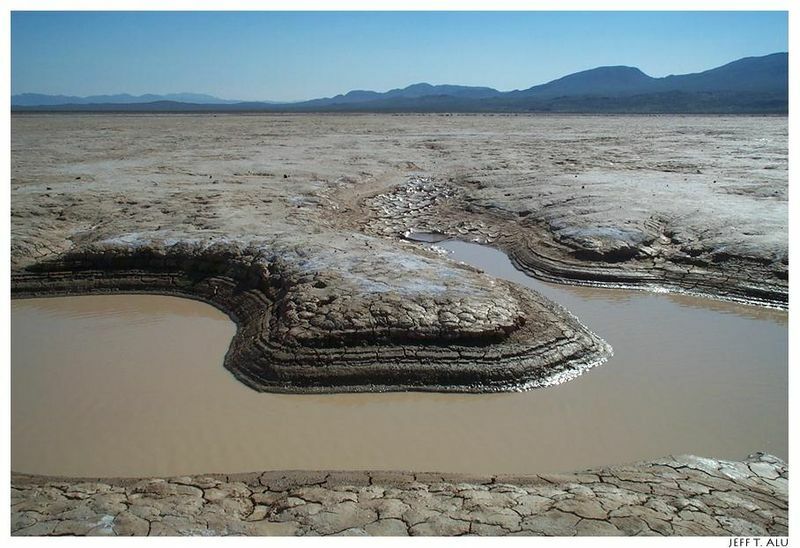 was reallocated to securing life on Earth? The time has come for humanity, you, to consider a fundamental issue about your place within the cosmos. Can you answer the following questions? How important is your role to the cosmos? Do you have a role to play? Can nature do without you? How do you make your role indispensable? Violent death of an old sun-like star! An infrared image of the Helix nebula, a cosmic starlet known for its vivid colors and eerie resemblance to a giant eye. The nebula, located about 700 light-years away in the constellation Aquarius, belongs to a class of objects called planetary nebulae—the carcasses of deceased sun-like stars.